You don’t really have to be a professional photographer to bring that effect into your images because the folks at Rollip.com have developed a new site that gives any digital photo a new look and feel by offering filters ranging from 70’s vintage to more modern ones. They offer 40 various filters as far now and will be adding more filters in the future.. Rollip.com is free for smaller images but they do offer additional high-quality processing which some photographers can use for their professional work. I’ve tried a couple of filters and really satisfied with the output results. 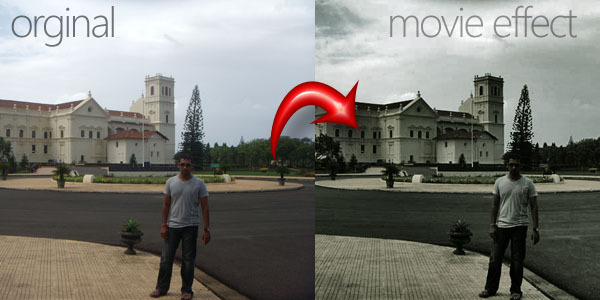 Just check my image below where i opted for a movie effect and how the orginal image transformed into a frame from a movie. Next Post → Citibank in Trouble! OMG..that was amazing..BTW do we have any free applications with which I can create some blinking effects on a picture..?